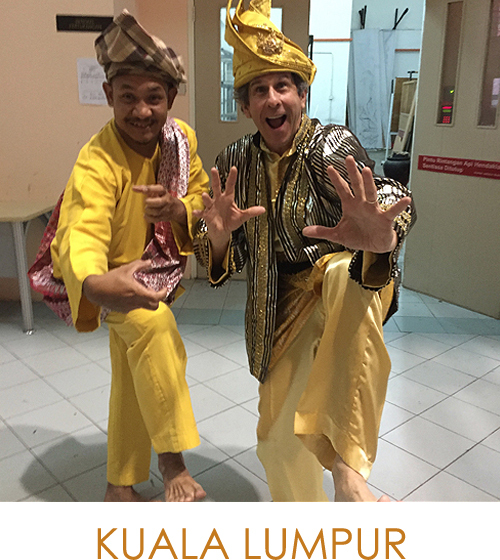 Teaching Workshop in Kuala Lumpur. Translucent Borders Work in West Bank/Israel. Theodore Roosevelt Concert Series: Americana with The Cassatt String Quartet. Performances with The Seat of the Pants Band at Berkshire Theater Festival. Performances with The Vanaver Caravan at the Hudson Valley Festival of the Performing Arts. Performing Arts Workshop in Wallkill Correctional Facility, fostered by NYU Prison Education Program, and led by Teirstein, Director Greta Baker and Singer Heather Masse. World premiere of "Secrets of the North," composed for the acclaimed Cassatt String Quartet and the Swedish Nyckelharpa, played by Teirstein, with dancers Max Teirstein and Alena Brocker, and Broadway actor David Lutken. Hudson Valley Festival of the Performing Arts, Mohonk Mountain House, New York. 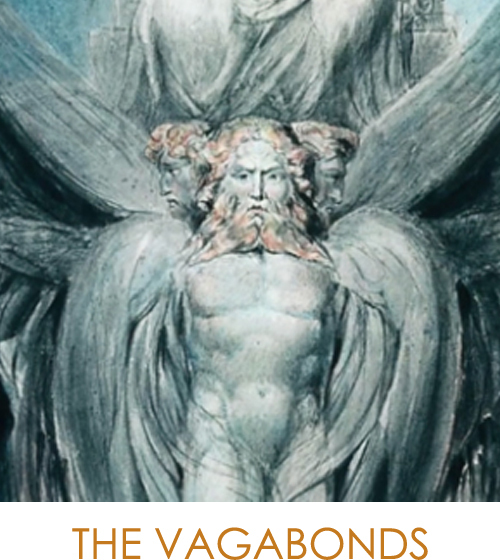 Excerpt of "The Vagabonds," inspired by the poems and illuminations of William Blake. Premiered at the Theater at the 14th Street Y, under sponsorship of the LABA Institute, with assistance from Mary Cossett. A new music-theater work composed for strings, winds, marimba, cimbalom and three singers, with 2 dancers. Tour of "Woody Sez" in Palestinian Territories, sponsored by the United States State Department, produced by Animal Stone Productions. This Land is Your Land. 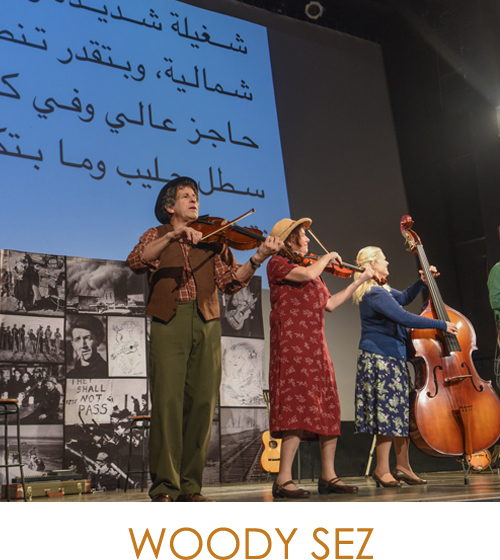 The US State Department, in coordination with Theater J, produced a tour of “This Land is Your Land,” a school presentation about Woody Guthrie, in East Jerusalem. Hudson Valley Center for Contemporary Art Dancers, Marsi Burns and Alice Teirstein, performed a site-specific dance that moves throughout various spaces of the museum, as the audience follows along. Music created and performed live by Andy Teirstein. WRTI Radio broadcast of Teirstein’s quartet, “Suite”. A new show celebrating Pete Seeger, “Turn Turn Turn,” has been in performance previews at theaters around New York State. The Cassatt Quartet performed a movement of Teirstein’s quartet, “Restless Nation,” in Bryant Park. Pete and Toshi Seeger Memorial Concert Lincoln Center. The summer brought several performances with The Vanaver Caravan, including this memorable tribute, attended by thousands. 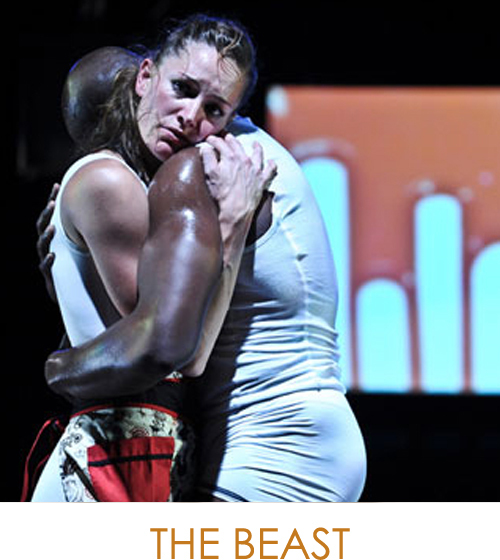 Andy Teirstein made music for an innovative adaptation of Homer’s “Iliad,” directed by Jim Calder, and performed at La Pietra, in Florence, Italy. Woody Sez: After a successful tour of Israel, we performed in Shanghai and Nanjing, and at the People’s Light and Theater Company in Pennsylvania. Andy Teirstein was a member of the Selection Committee for the 2013 Richard Ellmann Lectures in Modern Literature at Emory University. The Selection Committee included 2013 lecturer Paul Simon. Teirstein introduced Paul Simon's concert, and performed onstage with him. Woody Sez at Theater J in Washington, DC. Woody Sez at the Amerika Haus in Munich. The Cassatt Quartet performed Restless Nation at the Haydn Planetarium The Museum of Natural History, New York City. Woody Sez at the American Repertory Theater, Cambridge, Mass. THE BEAST. Spectrum Dance Theater, Seattle. Choreography by Donald Byrd, first premiered in 1996 at BAM. The new production features an ensemble of 4 musicians playing piano, flute, bass clarinet, alto saxophone, and accordion. Andy Teirstein's music is included in a new CD release - THE NYFA COLLECTION: 25 YEARS OF NEW YORK NEW MUSIC on Innova Recordings, the label of the American Composers Forum. MARAMURES: VIOLA CONCERTO. National Symphony Orchestra of Ukraine. Conductor: Volodymyr Sirenko, Soloist: Alexander Pogorelov (principal viola). Performed in Kiev, Ukraine. The piece is based on themes the composer collected in Romania and Bulgaria in 1994. RESTLESS NATION. The Cassatt String Quartet. Gramercy Park Concerts at The Brotherhood Synagogue. The Vanaver Caravan. The Dance Flurry at Saratoga Springs. World and Contemporary Dance and Music. CERCLE D'AMOUR by the Carolyn Dorfman Dance Company. Music by Andy Teirstein. South Orange Performing Arts Center. Woody Sez. The Arts Theatre in London's West End. A show about the life and times of folk icon Woody Guthrie. Andy Teirstein plays the roles of Pete Seeger, Cisco Houston and Arlo Guthrie. LANDSCAPE CHANGING. Performed by the Okanogan Valley Orchestra and Chorus at the Omak Performing Arts Center, Washington State. Featuring Dayton Edmonds, a Native American storyteller and the words of Paul Steuerman, Cowboy Poet. A tenth anniversary concert. The piece was originally commissioned as part of the American Composers Forum's "Continental Harmony" series, celebrating orchestras around the country at the turn of the millennium. OPEN CROSSINGS. a CD of Andy Teirstein's Music. Naxos Records International. Order CD at Amazon.com.